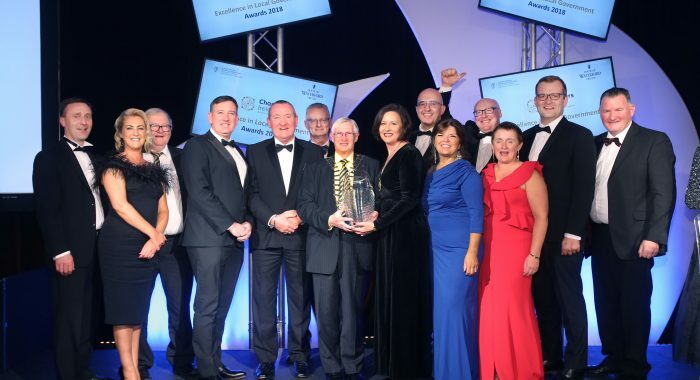 Clare County Council’s success in being named as Local Authority of the Year at the Chambers Ireland annual Excellence in Local Government Awards is a significant achievement and important contributory factor to continued economic development in the county, according to Shannon Chamber. Congratulating the Council on winning the overall prize and three category awards, Helen Downes, Shannon Chamber CEO said it is a strong endorsement of its progressive policies and commitment to community engagement. “As a Chamber, we are delighted to work with the Council on many initiatives and it is heartening to see their positive efforts being recognised at national level,” she added. In addition to the overall accolade, Clare County Council was presented with three different category awards at a ceremony organised by Chambers Ireland in association with the Department of Housing, Planning and Local Government. It won the ‘Best Practice in Citizen Engagement’ Award sponsored by ESB Networks for its Community Mobilisation Unit: Rural & Community Development Officer. The Council’s Burren & Cliffs of Moher UNESCO Global Geopark won the ‘Sustainable Environment’ Award sponsored by ERP while top honours in the ‘Outstanding Initiative through the Municipal Districts’ category sponsored by LGiU Ireland was won by the Council for Friars Walk Coach Park, Ennis – Coach Friendly Destination.